While serving as the president of the American Advertising Federation Nashville, Westwood’s Founder and Creative Director, Tom Woodard, spearheaded a multi-agency team of creative professionals to create the “What is 13?” awareness campaign for End Slavery Tennessee. Appearing in brochures, magazines, and newspapers, the simple but striking logo and compelling personality-driven stories helped End Slavery Tennessee raise awareness about human trafficking in Tennessee. 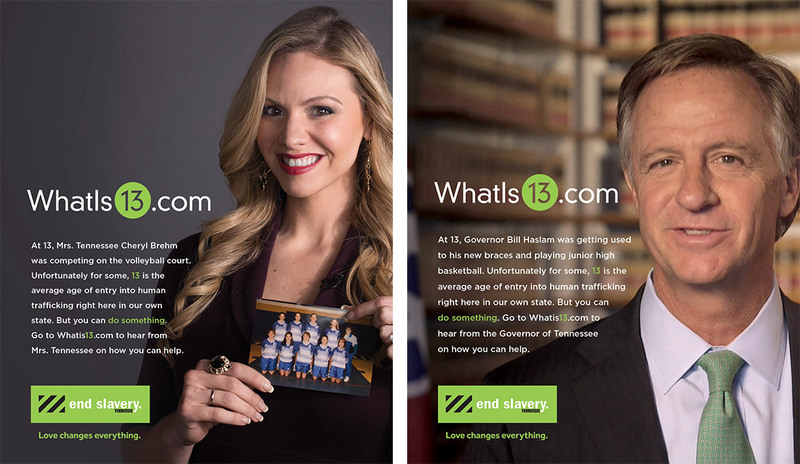 Featuring public figures like Senator Bob Corker, radio personality George Plaster, and 2015 Ms. Tennessee Sarah Gross, these 30-second promos urge viewers to visit WhatIs13.com and help put an end to human trafficking. Stark and straightforward, these emotional 30-second spots direct listeners to the End Slavery Tennessee website, WhatIs13.com. 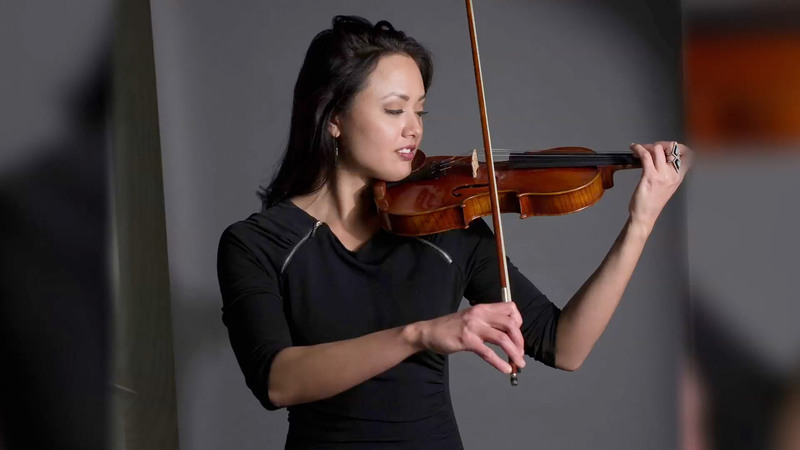 Sweet but compelling original music is featured in the background of each PSA.